There will be two San Diego chefs on the upcoming season of Bravo's hit culinary competition Top Chef. In addition to Juniper + Ivy (and upcoming The Crack Shack) Chef/Partner Richard Blais, who will return to Season 13 of the award-winning series as a judge, as previously speculated, Chef Chad White will be a contestant on the show, battling it out for $125,000, a feature in FOOD & WINE magazine, a showcase at the annual FOOD & WINE Classic in Aspen and the coveted title of "Top Chef." The series premieres in two parts on December 2-3. For Season 13, Bravo Media's Emmy and James Beard Award-winning Top Chef series will embark on an epic gastronomic road trip up the coast of California, kicking off with a two-night premiere event on Wednesday, December 2 and Thursday, December 3 at 10pm. 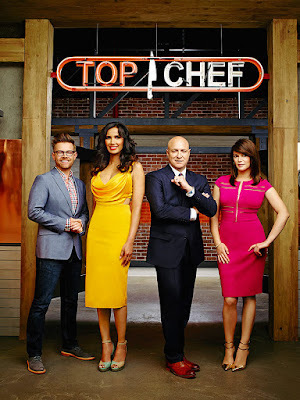 This season is dubbed Top Chef California! 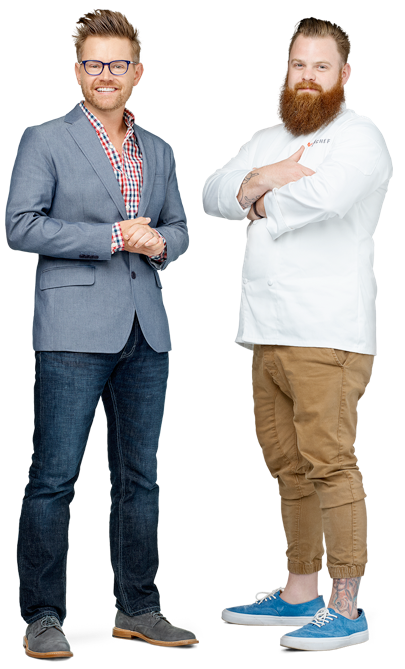 With nearly 1000 miles traveled, the series will include a six-city expedition where 17 cheftestants will be tested through culinary competitions as they journey across the Golden State, stopping in Los Angeles and San Francisco, where the series first began, as well as Santa Barbara, Oakland, the Greater Palm Springs area and San Diego! Javier Plascencia of Bracero and Romesco is rumored to be featured in the San Diego-centric episode. Returning to the judges table this season are host Padma Lakshmi and head judge Tom Colicchio, alongside judges Gail Simmons, Emeril Lagasse and San Diego's own Richard Blais, chef/partner at Juniper + Ivy and incoming The Crack Shack in Little Italy. The series will air regularly on Thursday nights at 10pm. We will be glued to our television set this season rooting on Chef Chad White, the chef/owner of area eateries Común Taqueria in San Diego's East Village, Craft Pizza Company at Westfield UTC in La Jolla and La Justina in Tijuana. Chef Chad White is not the first San Diego chef to compete on Top Chef. Brian Malarkey (Searsucker, Herringbone, Green Acre) competed in Season 3, Rich Sweeney (Waypoint Public) was a contestant in Season 5, and Richard Blais was runner up in Season 4 and the winner of Season 8, Top Chef All-Stars. Check out the Season 13 preview video below, visit the restaurants of our local celebrity chefs and set your DVRs!